Chelsea manager Antonio Conte said that his players need to be ready for this important week that could determine the future of their season. Indeed Chelsea will be playing against Swansea away in the Premier League during the week and will then be facing Newcastle United at home, before their final make-or-break Champions League match against Atletico. The Chelsea manager acknowledges that it has been a tough start to the season for his team and that it is important that they improve if they want to retain their title. He said that they need to get a positive result in their Champions League game as this will give them the edge in the knock-out stage of the competition, if they can top the group. He said that his players are all ready for this game and they all know how crucial it will be for them to win this chelsea fixture, and will be putting their everything into trying to win it. Conte said that first they would have to turn their heads towards the games against Swansea and Newcastle, with 6 points up for grabs that are equally important - their poor start to the season has left them 9 points behind leaders Manchester City and that it is important that they win this game to keep contact with the teams above them in the table. 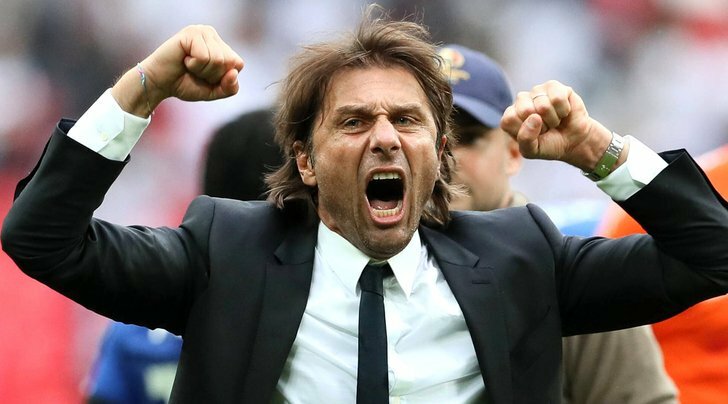 Antonio Conte has previously said that retaining the title in the Premier League is much tougher than doing it in Italy as there is more competition in England - when he was the manager of Juventus, all the rival teams would sell their best players as they felt that they did not have any chance of competing with them, but it is different in England as all the big teams keep investing in new players and this make it difficult to retain the title. However, Conte said that he is not the kind of person that will give up and that he will do everything he can in order to help the team retain their Premier League title as well as go as far as they can in the Champions League. One player that Conte will be able to count on will be Eden Hazard. The Belgium international has reportedly told his manager that he is back to his best and that he can count on him for the rest of the campaign. Hazard has missed the opening of the current campaign due to injuries but has now started the last four matches for Chelsea, is feeling better and is back to his best. He believes that the match against Atletico is an important one as this will allow them to set the pace for the remaining part of the season. He admitted that the start of the season for Chelsea has been quite difficult and that the players know that they should improve. "I missed a lot of games due to injuries and that now that I am back to his best I want to help the team win games. We are not that far in the table and we they go on a winning streak we should be able to climb up the table. The problem with Chelsea this season is that we have been inconsistent and we they need to work on that."